Aarav Fabricator are Manufacturer of exclusive collection of Ethnic Women Clothing - Kurtis, Cotton Salwar Suit, Designer Cotton Sarees, Hand Block Printed Cotton Sarees, Cotton Hand Block Unstitched Suits, Cotton Printed Bed Sheets, Cushions and Cotton Printed Dress Materials in Jaipur Rajasthan India. We are highly acclaimed for our floral designs and patterns that make our Cotton Products gamut extremely styles and fashionable. Cotton Garments are Extensively appreciated by our clients for their colour fastness, skin friendliness, exquisite colour combination and shrinkage free finish. Further our entire range of cotton products are fabricated using fine quality basic material as per the international quality standards and latest fashion trends. The array of our Cotton Fabrics can be availed at industry leading price and customized colours, design patten. Who Aarav Fabricator is ! We are a Leading Manufacturer of Comprehensive and unbeatable Range of Designer Cotton Garments that Cotton Printed Saree's, Salwar Suit, Tops, Kurtis, Skirts, Dupattas, Stoles, Unstitched Suit Set's, Home Furnishing Items, Cotton Dress material. Our Garments range is widely appreciated for designer prints, fancy creative work, skin friendliness, color fastness, easy washing, sun safe colors, etc. We have successfully maintained the quality standards because of our innovative Idea. Our Leading manufacturing unit helps us in keeping a stride with the demands of the clients. Our International, Domestic client network has enabled us in fulfilling the requirements of the clients with Exclusive Designer Products. We manufacture a fashionable range of cotton garments and Dress material using 100% cotton material ensuring their unmatched quality. we ensure to meet the ongoing latest fashion trends and fulfill the clients requisites in the best possible manner. Being the largest Manufacturer and Wholesaler of comprehensive and exclusive range of Cotton Saree's, Hand Block Printed Saree's, Hand Block Unstitched Suits, Kurtis Tops, Skirts, Home Furnishings, Ladies Night Dresses, Cotton Fabric, Women Wear and many more. 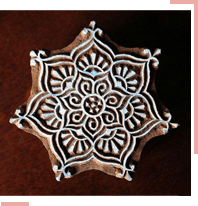 Manufacturer of Hand Block Print has carved a niche for us in national and international market. Aarav Fabricator, one of the best manufacturer in Jaipur, Rajasthan. We all know that in today's fashion world, cotton kurtis are grabbing the full attention of youngster and all age women. As time passes, we all are moving towards a fashionable era, and want to look the best. With decorative technology machine, cotton kurtis are in the current fashion trend. Today getting online cotton kurtis are also in demand and has become the needs of people and famous for its comfort in ethnic look, as it is very comfortable to wear and can give an outstanding look, also very easy to carry for long time period. Get all latest trendy kurtis online by visiting best Cotton kurtis manufacturer in Jaipur at Aarav Fabricator. We offer the best ultra-fine cotton, rich colors, and embroidery in cotton kurtis in all seasons, especially the monsoon season! Saree is one of the oldest forms of clothes on earth from back centuries and its importance is still very strong.Surprisingly, most of the Western worlds do not know the great significance of this dress. All Indian women loved to wore saree traditionally and have great cultural significance. It is said to be one of the most elegant women's dress and presents the most noble way to the real curve, elegantly covered the whole body of a woman. A woman in India always looks completely perfect in saree, decorated with beautiful ornaments, and shining the bindi/kumkum in the center of her forehead. If you want the best Hand Block Print Saree manufacturer in Jaipur then you can also go for online shopping. We Aarav Fabricator, are the leading manufacturer in Jaipur providing our customers the best trendy and unique designs of cotton saree in Jaipur. Women are always considered to be a unique creation of God. It is always right to say that "There are no other things like cosmetic, western dresses and more can make a woman look more beautiful rather than a Saree, especially Jaipur Saree". Saree is the significant of Indian culture. We all know that Jaipur is known for its traditions. In today's world, shopping is always in demand among girl, they always liked to do shopping and never feel bored. These days, online shopping has proven to be a great help for all shopping enthusiasts because they get the latest stuff by sitting at their comfortable home. We all know that Jaipur is famous for its tradition. Get the huge collection of trendy and stylish Jaipur cotton saree from Aarav Fabricator, one of the best Jaipur cotton Saree manufacturers. We provide the best quality product having the traditional touch of Jaipur. Aarav Fabricator is well known for its manufacturing the best products of Hand Block Print Salwar Suits, also popular as Pink City. India is well known for its tradition and culture. Here many youngsters and all age women love to wear ethnic clothes which enhance their beauty more than other dresses. We all wish to wear a comfortable dress with the trendy look. One of the best one is Cotton Salwar suits. Cotton garments are well known for its comfort, printing designs, and colors. Kurtis from Jaipur is the most eye catching amongst youngster, as it gives the traditional touch with its simplicity. At Aarav Fabricators, you will get a huge collection of cotton garments with highly designed patterns from eco-friendly colors. Aarav Fabricator, one of the top manufacturers of Cotton Garments in Jaipur. We manufacture the dazzling products of cotton garments like Hand Block Print Sarees, Latest Designer Salwar Suit, Cotton Kurtis, Unstitched cotton Kurtis, Cotton Skirts, Cotton Dress Materials and more Cotton Home Furnishings products in Jaipur Rajasthan India by keeping the latest fashion trend among youngster and all age women. As we all know that Rajasthan is famous for its culture and traditions, we always used to manufacture our products by eco-friendly natural dyestuffs and traditional vegetable colors rather than using harmful chemicals. Our specialty product is hand block printing with creative ideas. Aarav Fabricator never compromises with our product qualities. We ensure you that you will never get any manufacturing defect.